View a screening of Citizen Jane: Battle for the City at the Brooklyn Historical Society as part of the society’s Women’s History Month film series The Feature is Female. This screening marks the end of the month long series which featured documentaries that highlight important women throughout history. Citizen Jane examines how the actions and writing of activist Jane Jacobs can be applied to the urban issues facing New York City today. The film looks back on Jacob’s battles with Robert Moses as she fought to save historic parts of New York City from redevelopment. The film will be introduced by Municipal Art Society President Elizabeth Goldstein. This event is free to attend and you can reserve a spot if you are an Untapped Cities Insider. Not an Insider yet? Become a member today to gain access to free behind-the-scenes tours and access to special events all year long! The story of Grand Central Terminal is that of New York City itself: the structure embodies the social, cultural, economic and technological evolution around it. It is one of great men, feuding architects, ingenuity, rejuvenation, secrets and surprises. 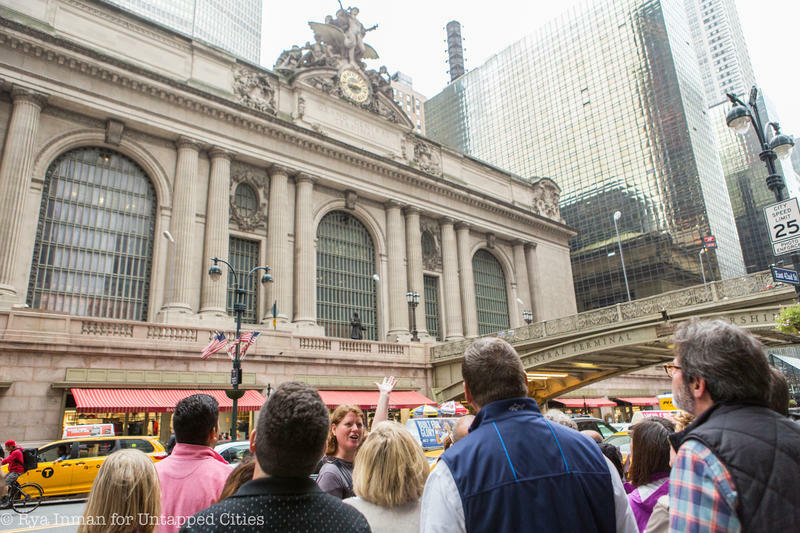 On this tour, we will tell you these stories – about what once was, what could have been, and what can be; about the struggle to save and restore Grand Central as a preserved icon of the past, and of challenge to ensure that it serves New York’s future. We will show you what it was like in the booming age of the railroad, as a rundown embarrassment, and as a renovated jewel at the center of the city. Together, we will explore the interesting and unique spaces produced for and by it. Whether you pass through it every day on your morning commute or stroll through the Beaux Arts beauty for the first time, you are sure to leave having learned, seen, or experienced something new and extraordinary. See our full lists of upcoming public tours and Insider events!